The blindfold appearing in the common depiction of Lady Justice is there for a reason. According to Wikipedia, Lady Justice has been depicted with a blindfold since at least the 16th century, with the blindfold representing impartiality. When impartiality of the system, or the judges who are charged with administering the system, is questioned, it is a very big deal. That is why the Code of Conduct applicable to Article III federal judges appointed as Constitutional judicial officers mandates that a judge disqualify himself or herself when there is even the appearance of impropriety. It seems that no such rule applies to Administrative Patent Judges (APJs) who make up the Patent Trial and Appeal Board (PTAB), which is astonishing. Indeed, we have found yet another example of a situation where an PTAB judge has issued a decision and is participating in post grant administrative proceedings as a judge in a case where a former client is the petitioner. On November 21st, 2016, APJ Stacy Beth Margolies wrote a decision to institute an inter partes review (IPR) proceeding petitioned by Apple Inc. (NASDAQ:AAPL) at the PTAB. The panel’s decision to institute was based on its conclusion that the petitioner Apple had presented enough evidence to conclude that there was a reasonable likelihood that Apple would prevail in establishing the unpatentability of the challenged claims. Data collected through the legal analytics tools provided through Lex Machina shows that Margolies has served as an APJ on two IPRs petitioned by Apple, both of which challenge patents owned by Voip-Pal.com, a developer of Internet telecommunications technologies. Both of the challenged patents are directed at methods of routing messages for voice over Internet protocol (VoIP) communications. Both IPR proceedings are currently open post-institution. According to information from PACER, Margolies represented Apple as counsel in Fast Memory Erase LLC v. Spansion Inc. et. al. (ND Tex 3:08-cv-00977)(see screenshot). Apple was named was a defendant and counter-claimant in this patent infringement action. The case was terminated in August, 2012 and there is no indication in PACER that Margolies was terminated or removed as Apple’s representative from prior to the termination of this matter. Some may be tempted to believe that a four-year period between representing a client in a district court patent infringement matter and deciding cases as a judge where the former client is a petitioner do not raise the same conflict of interest questions as other situations we’ve recently pointed out at PTAB. See Is the ethical bar higher for practitioners than PTAB judges? Perhaps at some point there should be a cleansing of any conflict of interest based on the passage of time, that would certainly make sense. The problem for the Patent Office and those who defend the actions of APJs sitting in judgment of petitions filed by former clients is that there is no time limit on the conflict of interest created by a former client for practitioners, and there is no time limit on conflicts and the appearance of impropriety for Article III federal judges appointed as Constitutional judicial officers. So if the generic ethics rules for all employees of the USPTO, which only require a 1-year recusal period with respect to dealing with matters of former employers, is the only policy or Code of Conduct applicable to PTAB judges then that would mean that the practitioners who appear before the PTAB have substantially higher ethical requirements than do those who are sitting in judgment, which is absolutely absurd. If anything the higher ethical standards must be placed on those who sit in judgment, which is exactly what is done for Article III federal judges who are required to disqualify themselves from matters even when there is an appearance of impropriety. Certainly, APJ Matt Clements issuing decisions in post grant patent review proceedings petitioned by Apple a mere 18 months after representing Apple as a defendant in patent infringement cases is extraordinarily problematic, perhaps far more so than Margolies deciding petitions four years later. It is also particularly concerning that Clements has participated in so many post grant proceedings — we’ve identified 17 so far — where his former client (Apple) was a petitioner. Margolies has only sat on two panels currently adjudicating patent challenges brought by her former client, which also happens to be Apple. But the appearance of impropriety and what should be required of judicial officers cannot be excused as de minimus. Any appearance of impropriety is unacceptable. The problem seems to be that the United States Patent and Trademark Office does not have a specific Code of Conduct for APJs, instead applying the same general and extremely lenient ethical standards on PTAB judges that they do on all employees. Thus, it seems that at least in 2013 there was some recognition by the USPTO that “rules of judicial conduct” would apply to the Administrative Patent Judges that make up the PTAB. What those rules are, and whether they even exist beyond the all USPTO employees general ethical provisions remains uncertain. Before those wanting to chastise you for naming names rings in, let me just add that an understanding of administrative law and the differences between various agencies and how those various agencies have structured or insulated any “judicial-type” of function away from any “political” or “politically” control function has a direct bearing on how much “credence” Article III courts have traditionally afforded that agency’s “judicial” results. I have already seen IPR apologists criticizing others for such vigilance, and that sickens me as an attorney. I will step down from my soapbox now, and give the microphone to those wanting to comment on the substance of this thread. …and to offer something on point here, I would suggest that an inverse level of control and vetting for ethical concerns should be in place for the various executive agencies that have “judicial” functions – the more separation between the “political” and the “judicial,” the closer to the floor of Article III ethics control should exist and conversely, the lack of separation should induce more ethics controls. I know this is an extremely small sample size with these two APJ’s formerly being on the “defense” side for Apple but has anyone ever done a review of the background of APJ’s to see whether they were primarily plaintiffs (patent holders) or defendants (accused infringers) counsel? A colleague had told me several years ago that the majority of APJs were former defense-side lawyers but I was wondering if anyone had ever dug into this area to see if that was actually true. If it is true, I submit that having a PTAB comprised mainly of former defendant-side counsels makes for an inherently biased PTAB. I’m sure some folks will say it doesn’t matter whether the APJ formerly represented in private practice primarily plaintiffs or defendants but if you’ve been in this business long enough you know it does because (depending on which side your regularly appear for) you start to get conditioned to either hating patents or hating infringers. Gene- I am very concerned; really, as an American at this point. There is A LOT of smoke here and potentially culpable officials with agency power say ‘don’t worry, no fire here. I urge you to keep digging. You on are on to something. 1) APJs deciding cases where former clients are involved. 2) Petitioners using ToT entities to pro-actively attack patents (and patent owners) and placing language on threatening pro-active IPR on ToT websites to all who would consider enforcing patents. Alongside threatening language, placing incentives for same patent owners to join as customers and grant extensive patent rights; including information rights. 3) IPR Gang tackling involving Petitioner, Faux interest groups and ToTs. 4) Examination/Investigation of PTO for Lack of PTO action in defense of patent owners who are the subject of IPR Gang Tackling. I know the DOJ has a page on patent pools where it intersects with anti trust but if the Anti Trust and other arms of the DOJ are not already investigating the interface of the above and ToT customer behavior relative to points outlined above (and others not known), they really ought to be – Post Haste. All of this in search of a few ‘bad patents’? I think not. If the IP targeted in aggregate were worthless, why have the giants spun up a billion plus engine across 95 percent of the biggest patent filers to destroy or cheaply acquire same? If the CEOs of these huge companies saw into the future, they would exist these ToTs before more information comes out and it gets really bad for their brand. last paragraph correction- they would ‘exit’ these ToTs..
Let’s all remember that Lee is in charge of the PTAB and signed off on the rules to allow the patent judges to preside over these cases. Merely having previously done legal work for a company no longer a client on an unrelated matter is not either unethical or disqualifying for anyone. With all due respect, you’ve got to be kidding-you’re statement is absurd in the extreme. We’re talking about the expected impartiality in an adjudicatory process (IPRs). Just the appearance of impropriety with respect to these two APJs and involving the same party (Apple) is very troubling. Put it this way-do you think an Article III judge wouldn’t recuse himself/herself in a similar situation? Michelle Lee should be fired and the PTAB needs to be shutdown. What a crooked system. EG, if your personal view on this matter is supported by any state bar association or court decision, please provide a cite, as it will be of general interest. I would be happy to be proven wrong if you have any citeable authority. No, I do NOT think an Article III judge would feel compelled to recuse himself from all cases involving any company he may have ever done any legal work for in the past on an unrelated matter, absent any citation of authority for that. I take it that you also do not plan practice before the PTAB any more if you are willing to make ethical attacks on APJs. Got it: Troll of Trolls. You do know that the PTAB are not “supposed” to be advocates? Why in the world should rules about advocate apply to judges? Judges are suppose to be completely impartial. They should not have any interest or relationship to a petitioner or for that matter, a patent owner. They should not be influenceable in any way by anyone with political power, and we know that is not the case given the structure of the PTAB. You did know that we revolted from England in part because King George paid the salaries of judges and could hire and fire them. Whether he pulled the strings in particular cases is irrelevant, and your asking for proof in particular matters before the PTAB only demonstrates that either you do not get it, or that you do get it and are trying to divert attention. One more thing, Gene, if Congress did indeed legislate PTAB’s into existence as an effort to invalidate the patents of trolls as you and others have said here numbers of times, then that puts the target on the backs of anybody who owns a patent and who is not an operating entity. The PTAB might take it as its mission to invalidate the patent by hook or crook as that is their mission. The narrative itself creates bias against patent owners. I am not sure that I see the conflict just because at one time an APJ represented, while in private practice, a party appearing before them. “Appearance of impropriety” is the term used in the Code of Judicial Conduct. The Code does not impose any per se bars on members of the judiciary from hearing matters involving former clients. I think these issues require a case-by-case analysis, including how long ago did the judge represent the party before them, and how close was the judge, when they were in private practice, to the client? Was this an associate on a team of 20, or was this person lead counsel? Time, I would think, also plays a role. If the representation ended 10 years ago, is that still a conflict? 20 years ago? A rule that a judge is forever barred from serving as a judicial officer in a matter before a former client, no matter how great or little their role, or how long ago the representation occurred, seems to me to go too far. On the other hand, one issue that would be of concern to me is if the judge had acquired confidential information in the former representation of his or her client that is substantially related to the subject matter then before the court. The closer the relationship, then the greater the appearance of impropriety. Bottom line is that these are not, in my opinion, always black and white issues. Am baffled that the same conflict of interest standards do not apply here as for other federal courts. Something stinks. These cases are interesting to me because I have worked with PTAB judges who regularly recuse themselves from cases involving certain former clients. As Gene notes, it’s not a big deal, there are plenty of cases and judges to move things around. This isn’t middle-of-nowhere county WY where we have to waive conflicts because there are no other attorneys/judges around. Thank you Mr. McCabe, I also just read the applicable sections of the Federal Code of Judicial Conduct [which is for all Federal judicial employees] and found no such absolute prohibition or recusal requirement for all cases involving any company he or she may have ever done any legal work for in the past, if it was on an unrelated matter. Furthermore, for obvious financial reasons, almost all of those APJs hired from law firms rather than promoted from the PTO examining corps would have been junior associates with limited clientele exposures, not senior partners. However, I am pleased to see “responding” report his experience with PTAB judges who regularly recuse themselves from cases involving certain former clients. This whole allegation is just another attempt to excuse losing IPRs for other than the real reasons. 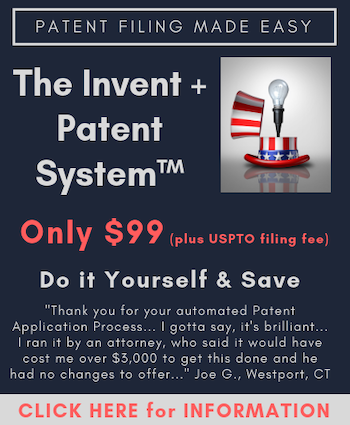 Those reasons include poor or non-existent prior art searches prior to filing patent applications and prior to fling patent lawsuits, and refusing to fix claims before filing fling patent lawsuits, thinking the lawsuit will get a lucrative settlement before invalidity can even be legally challenged, as used to be the case in the vast majority of patent suits. Nothing of the sort – but really not unsurprising coming from the most vocal of IPR apologists in the blogosphere. That is an excellent point. In places where there are few judges what is an appropriate conflict that would lead to one recusing or being disqualified is very different. When I first started practicing in New Hampshire everyone was within 1 or 2 degrees of everyone. I passed the NH bar in 1995 and my bar number is in the low 11,000s. The judges knew everyone, were friends with everyone because the bar was so small, and frequently were related, neighbors, former class mates, worked at the same firms, etc. But even in a small place where conflict rules may operate different the key was that everyone knew. Everything was done in the open with full disclosure. Here where there are 275 PTAB judges and 7600 to 2,000 cases filed in any fiscal year it is hard to rationalize why we shouldn’t strive to have a system that removes all appearances of impropriety.